Homey spot for Traditional American comfort foods & fresh pie in a simple cafe setting. Joe’s Family Restaurant in Mansfield is Your Local Family Restaurant. Come on in for some home cooked food and friendly staff! Hope to see everyone soon. You are sure to find something in our full menu that everyone in the family will love. Ask about our discounts! Save money on a delicious home-cooked meal by taking advantage of our exclusive daily specials. Visit us today! Get in touch with your local, family-owned and operated restaurant that has been in business for 12 years. Joe’s Family Restaurant is a Family Owned Business that was started in Irving, Texas 44 years ago as Joe’s Coffee Shop. 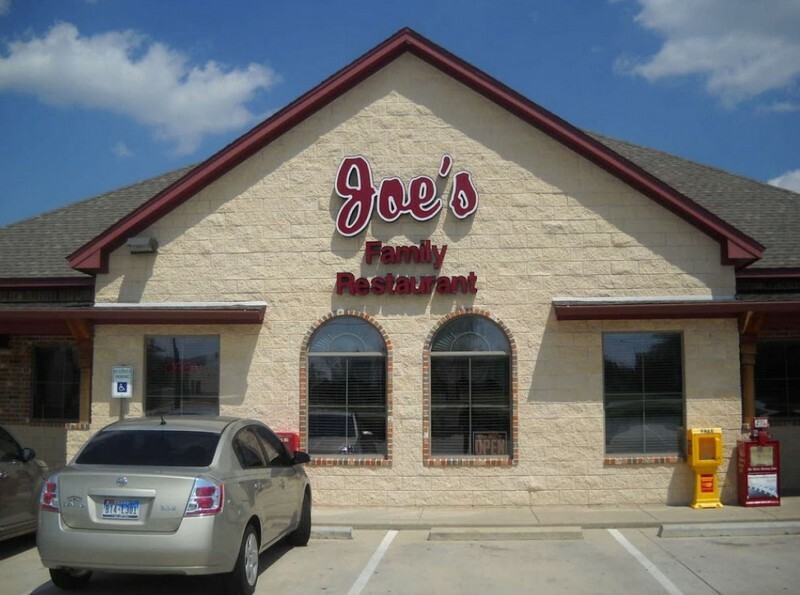 In 2004, we opened Joe’s Family Restaurant, the 3rd location in Mansfield, Texas, where our reputation of Home-Cooked Meals from open to close carries on. At Joe’s, Eggs Over Easy, Bananas Foster Stuffed French Toast, and Eggs Benedict, to name a few are made fresh and served all day. While breakfast is served all day every day, our lunch specials are perfect to satisfy that craving for Chicken Fried Steak, Chicken and Dumplings, Meatloaf, Catfish and many more homemade, cooked to order entrees. Come in for Breakfast, Lunch or a Slice of Pie and bring the kids for a Cup of Vanilla Ice Cream or a Mickey Mouse Pancake. Our family started doing business as Joes Coffe Shop in Irving, Texas 41 years ago and we now have three locations in Irving, Watauga and Mansfield.